Borage seed oil is used for skin disorders including eczema, seborrheic dermatitis, and neurodermatitis. It is also used for rheumatoid arthritis (RA), stress, premenstrual syndrome (PMS), diabetes, attention deficit-hyperactivity disorder (ADHD), acute respiratory distress syndrome (ARDS), alcoholism, pain and swelling (inflammation), and for preventing heart disease and stroke. Borage flower and leaves are used for fever, cough, and depression. Borage is also used for a hormone problem called adrenal insufficiency, for "blood purification," to increase urine flow, to prevent inflammation of the lungs, as a sedative, and to promote sweating. Borage is also used to increase breast milk production and to treat bronchitis and colds. 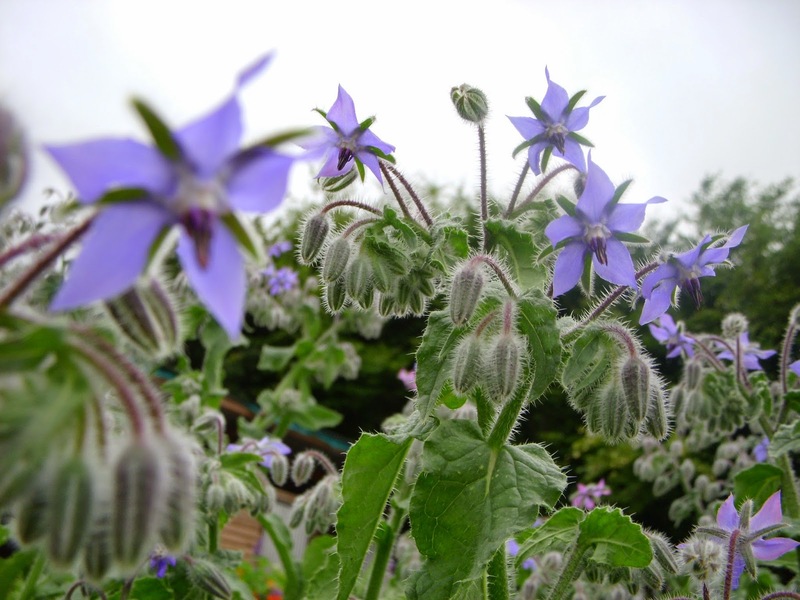 Borage is applied to the skin for infantile seborrheic dermatitis and is also used in a dressing to soften the skin. In foods, borage is eaten in salads and soups. In manufacturing, borage is used in skin care products. Borage seed oil contains a fatty acid called gamma-linolenic acid (GLA). GLA seems to have anti-inflammatory effects. Borage flower might have an antioxidant effect. Improving symptoms of rheumatoid arthritis (RA) when used with other medications that reduce pain and swelling (anti-inflammatory medications). There is some evidence that taking borage seed oil in combination with conventional painkilling or anti-inflammatory medications might help decrease symptoms of RA after six weeks of treatment. The improvement appears to last for up to 24 weeks. Improvement is measured as a decrease in the number and severity of tender and swollen joints. Improving the function of the lungs in critically ill patients. There is some evidence that borage seed oil, when taken in combination with eicosapentaenoic acid (EPA), might reduce the number of days spent in the intensive care unit (ICU) and the length of time a breathing machine is needed by patients with acute respiratory distress syndrome (ARDS). Improving growth and development in premature infants. Infant formula supplemented with fatty acids from borage oil and fish oils seems to improve growth and development of the nervous system in infants born early, especially boys. 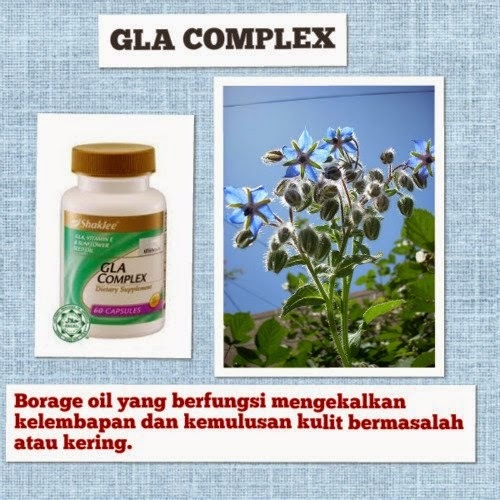 GLA Complex by Shaklee uses borage oil as a source of GLA. By research, it is founded that the oil from borage flower features more GLA (17% - 25%) compared to blackcurrent (15% - 20%) and evening primrose (7% - 10%). Shaklee use this benefit and created GLA Complex with vitamin E and sunflower seed oil. * This product is not intended to diagnose, treat, cure or prevent any diseases. Contraindicated in pregnant women.